AS Eesti Gaas and AS Tallink Grupp have signed a framework agreement, according to which Eesti Gaas will supply Megastar vessel traveling between Tallinn and Helsinki with liquefied natural gas, i.e. LNG, during the following five years. “The agreement confirms that cooperation started last January has satisfied both parties,” said Ants Noot, Chairman of the Management Board of Eesti Gaas. 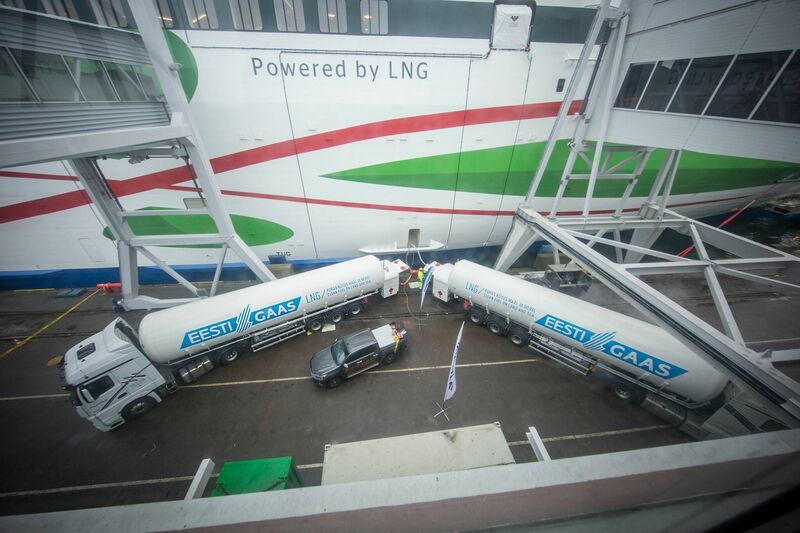 “For Eesti Gaas, it has been the first major LNG project, customer`s confidence signals that we have managed to do the job well,” Noot was pleased. 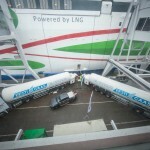 „Eesti Gaas has a capable international team, which now has a unique experience with LNG’s various sources of supply, logistics and technological solutions, “added Noot. In 2017, 675 semi-trailers of LNG were bunkered to Megastar amounting to 12,312 tonnes (169.5 GWh). LNG was brought mainly from Pskov but also from Finland and Poland. Megastar is bunkered in Vanasadam, directly from the LNG semi-trailer to the ship, two till four trailers per night depending on the vessel´s needs. According to Janek Stalmeister, Chairman of the Management Board of Tallink, Eesti Gaas is a reliable partner. “Our co-operation for over a year now has proved to us that LNG supply is reliable and the quality of the gas good, therefore, we have decided to increase LNG quantities supplied by Eesti Gaas compared to last year,” he added.